The life of a rock star in 2010. One day you are in the Middle East trying to help the troops escape the day-to-day horror of war. Moments later you're sitting in New York playing excerpts from a forthcoming record to your new label. 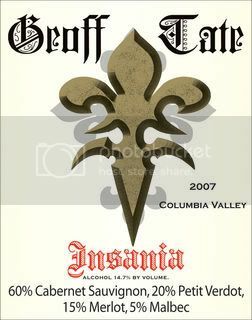 QUEENSRŸCHE's Geoff Tate appears to be the master juggler, his cabaret face on one day, vintner's cap the next and behind the scenes, plotting the next artful expose in the progressive metal scene. Oh yeah, he's dabbling in the acting world as well. Tate recently revealed that he was in New York recently showcasing his new label, Loud & Proud, Queensrÿche's upcoming platter of studio material, due out next spring (read the entire report here). 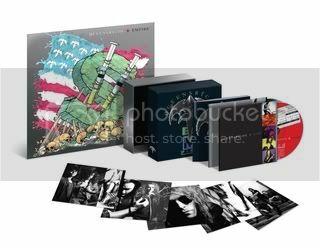 But the band had just returned from a tour of Kuwait and Iraq, performing for the troops and surveying the lay of the land so we civilians can get a taste of the ongoing conflict overseas first-hand. 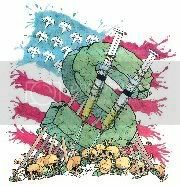 BraveWords.com: Well, I’m sure the troops that you met must appreciate what you’ve done for them by bringing to light the whole American Soldier conceptual piece. You guys have really been big supporters of this whole movement. BraveWords.com: I think it’s great to hear about these stories, but your families and loved ones would just be worried sick, especially now you’re telling us that you were bombed and it wasn’t a case of beer that you were tackling (both laugh). BraveWords.com: Well, is it a place that you were so comfortable that you would revisit again? BraveWords.com: Well let’s move on and talk about the business at hand, although a lot of artists are more comfortable talking about what’s in front of them than what’s behind them. Are you happy to discuss Empire in light of the fact that its celebrating a landmark 20th anniversary? BraveWords.com: Now how did life change for you. With Empire you became a mainstream band. 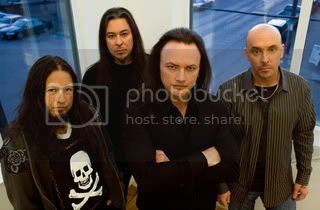 BraveWords.com: Do you think the band remained level-headed at this particular peak? BraveWords.com: When was the last time you actually listened to the album from start to finish? 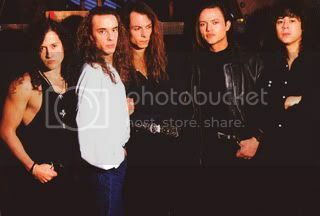 BraveWords.com: Queensrÿche have always been such a forward thinking band, whether it was the actual writing or the production, and I believe time has been very kind to this album. It sounds so pristine that it could have come out yesterday. How has this album weathered over the years in your mind? And how do you think its grown on fans over time? BraveWords.com: How much credit would you have given Peter Collins (RUSH, ALICE COOPER, BON JOVI, SUICIDAL TENDENCIES) with the sound and creating this masterwork? 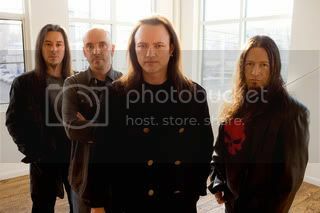 BraveWords.com: I must quickly reference one of my favourite Rush albums, Power Windows (1985), and he worked on a couple of Rush’s more experimental albums (1987's Hold Your Fire as well) before he jumped into the Queensrÿche camp. How did you guys sync up with him? BraveWords.com: (laughs) And his name’s on the back. BraveWords.com: Well I don’t mean to stroke your ego, but I will because American radio loves a good voice. And you have a legendary voice, and I would think most of the reason that Empire became such a huge hit was the big crossover hit ‘Silent Lucidity'. That was really the track that broke it wide open for you guys. How did you want to tackle that particular ballad? BraveWords.com: Chris had a big stamp on this record. BraveWords.com: At the end of the day it’s a beautiful headphones record as well. BraveWords.com: So you don’t personally have a favourite playback place when you’re finished a record? BraveWords.com: A few left-field questions for you. There’s apparently a Queensrÿche Cabaret DVD in the works? BraveWords.com: And I must ask because I’m such a great lover of red wines, more so southern hemisphere wines, I will admit to you. Tell me about the business (Threeriverswinery.com) and where that’s going and how that’s grown for you. BraveWords.com: I must mention a funny story. DEF LEPPARD singer Joe Elliott launched his new Down N Outz beer recently. He remarked that "over the years I’ve noticed a lot of musicians putting their names to a variety of wines etc. As nice as a glass of red or white is, well, it’s not very rock and roll, is it??!! Beer or lager seem to be the drink of choice at nearly every gig I’ve ever played or attended, so for me it’s a much cooler thing to do." I thought I’d get a comment from you about a rocker putting his stamp on a wine bottle! BraveWords.com: Diversification equates to survival in a sense, for a lot of musicians these days. BraveWords.com: Do you think that’s helping you with your creativity by going outside of the box with all these different "hobbies"? 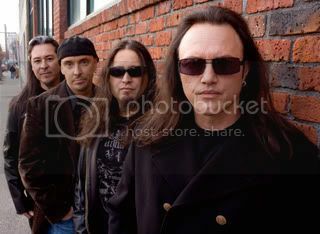 BraveWords.com is giving away a limited edition Queensrÿche Empire litho (see below). To enter, contestants are required to sign up to the Official BW&BK; Facebook Page and then send an email to contests@bravewords.com with the subject line: "Send Me My Empire Litho." North American residents only please. Contest closes November 29th.